“This season on #Broadway is noteworthy not just for the diversity of casts, but also for the ambitious, and risky, effort by producers and writers to make big commercial musicals out of uncomfortable chapters of history. “Whether it’s providential, coincidence, or meant to be, the fact is what’s happening on Broadway is so diverse it’s almost utopian,” said @msleasalonga, the first Asian woman to win a Tony (@thetonyawards). This season, she’s starring in “Allegiance” as an internee who has a falling out with her brother over whether to resist or support the American government. 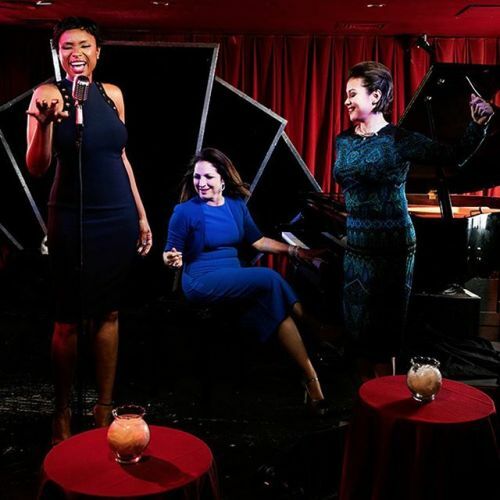 “It shows how many stories are out there that should be told, and can be told — so many experiences that make America what it is.” @jddittmar photographed @msleasalonga, right, with @iamjhud of “The Color Purple,“ left, and @gloriaestefan, whose life inspired “On Your Feet!”” By nytimes on Instagram.